Specifications Size: 19" x 12.5" + 5.5"
We are manufacturers of nylon pouches which can be used in industries like food ingredients and also where there is requirement of high barrier sealing. Nylon Bags in all shapes and designs. Dispatched within 20 days of order confirmation. Request for sample with free shipping. 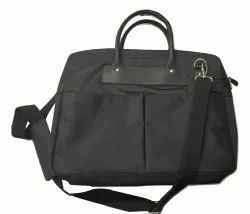 Specifications:Materials Used: 420 D Nylon Size: (L X B X H) 20"X 9.25 " X 11.5" Compartment/ Provision:One top zipper pocket, two side pockets, one front zippered pocket and an adjustable shoulder strap. Color Combinations: Red, yellow, green, black, grey, blue and other color combinations as per requirement. 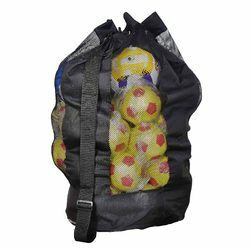 order to cater diverse requirements of the clients, we bring forth an extensive range of Colorful Backpack that is offered with different compartments and are well-separated into different sections. Our entire product range is tear-resistant in nature and is used for packing the important things while going out or traveling. Size: 19" x 11" x 11"